Home Tags Posts tagged with "emmerdale"
Child actor Harry Whittaker, who played Leo Dingle on soap opera Emmerdale, has died aged three, ITV has confirmed. The broadcaster said Harry Whittaker died on July 1, although the cause of death has not yet been announced. Harry Whittaker was honored at the end of Thursday’s episode with a message which read: “For Harry, with love”. Mark Charnock, who played Leo Dingle’s on-screen father Marlon Dingle, called Harry “our superhero”, adding he “lit up our lives”. “We were lucky to know you and hear you laugh,” he tweeted. 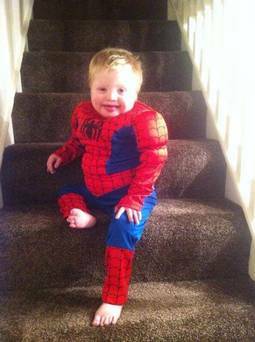 Harry Whittaker, who had Down’s syndrome, first appeared on the soap in May 2011, after a storyline in which his on-screen parents, Marlon and Rhona Goskirk, had to decide whether or not to keep a child diagnosed with the condition. He was one of two child actors to play the character, alongside Theo Tasker. An Emmerdale spokesperson said: “Very sadly we can confirm Harry Whittaker’s passing last Tuesday, 1 July.